It’s the showdown of the century: aluminum wire vs copper wire. Aluminum is the third most abundant element on Earth. Copper doesn’t even crack the top ten. That alone will affect the manufacturing landscape when it comes to electrical applications such as squirrel cages. But there’s more to the picture than cost. Below, we’re taking a look at the difference between aluminum and copper used in squirrel cage motors. What Makes a Squirrel Cage? Here’s an industry secret, squirrel cage electric motors don’t actually contain caged squirrels as their power source. If not a penitentiary for small mammals, then what is a squirrel cage? A squirrel cage rotor is the rotational element of a squirrel cage induction motor. 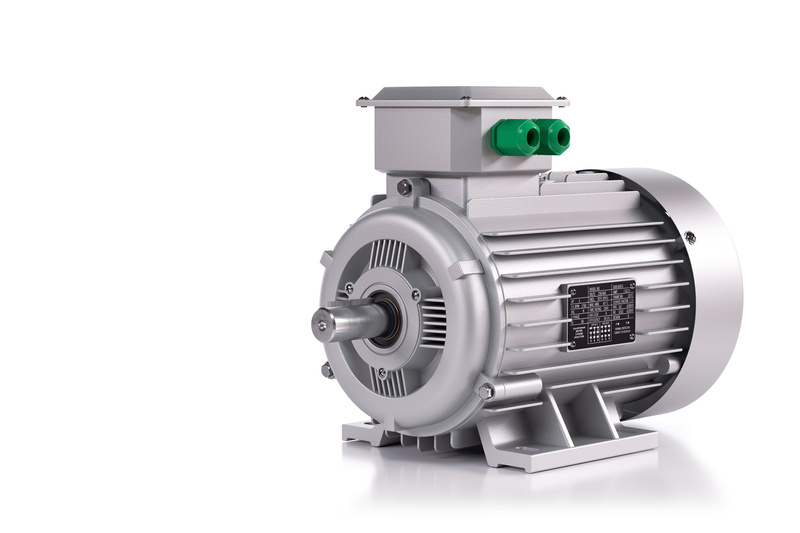 Induction motors produce torque through magnetic induction of an internal rotating element – the squirrel cage. That’s why the electrical properties of the squirrel cage are so key. The difference between copper and aluminum comes down to three key factors: conductivity, weight, and cost. To get a clear picture of the difference between aluminum and copper, we can take a look at the average wire. Copper has stronger conductive properties than aluminum. Its resistivity is lower for the same cross-sectional size. However, copper’s weight for the same conductivity also enters the picture. Copper is heavier than aluminum, to the point that aluminum may be nearly half the weight and achieve the same conductivity. In manufacturing, weight is often as much a factor as cost. Industries looking to save weight will look to aluminum as a solution. Aluminum’s cheaper, more available nature also makes its use in the electrical industry more cost-effective at the point of manufacture. What Does That Mean for Squirrel Cages? The first squirrel cages would have been of copper construction. Industrial-scale aluminum production began at nearly the same time as early squirrel cages. By the time aluminum production became widespread, squirrel cages were already in general use. Many modern squirrel cages use aluminum in their construction. Aluminum’s cost is lower on average, and more stable. The price of copper fluctuates more widely. Aluminum’s lower weight for the same conductivity also makes it a practical alternative in induction motors, which are components in larger electrical appliances where weight is a consideration. Aluminum can make squirrel cages cheaper at the point of manufacture. However, efficiency gains from copper can reduce running costs through better conductivity. Whether that will offset the higher initial cost of copper will depend on the market for copper at the time. In the final analysis, there’s a clear pro and con divide between aluminum and copper. In one corner, aluminum offers lower costs for a more inefficient squirrel cage, while in the other, copper offers better performance at a higher cost. Manufacturers need to run the numbers to decide which is right for them. Aluminum or copper, all rotors fail eventually. You can get in touch with us for repair.